Beyond: Two Souls was not the Heavy Rain sequel that fans of the breakout PlayStation 3 hit wanted. Sure, it dealt in cinematic techniques, quicktime events, and standout acting performances, but Beyond’s supernatural trappings (and the strange, retconned decision to jump around in time) were a far cry from the grounded, heart-pumping thriller that was Heavy Rain. With Detroit: Become Human, Quantic Dream has Heavy Rain’s true spiritual successor. From its multiple playable characters and no-fail-state design to the butterfly effect of moral dilemmas, Detroit has all the makings of a game with pulse-pounding choice and consequence. “What happens to Kara?” Detroit explores this over the course of 8 to 10 hours, but Kara’s journey out into the world is only part of the story. The playable cast is wider, and their stories intertwine to form a larger reflection on humanity. For sci-fi fans, it’s not hard to see where a story about a few androids out of millions becoming self-aware and questioning their purpose might go, but multiple perspectives should make for more viewpoints that avoid becoming too preachy, too quickly. 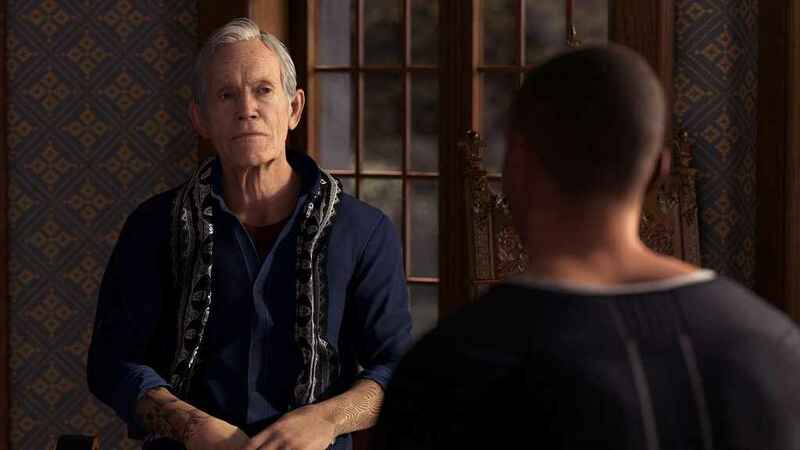 Detroit Become Human PS4 demo now available. Connor’s part in the play is that of negotiator. A prototype android, Connor is specifically commissioned to investigate cases of “deviant” androids–those who begin acting in a way other than what their programming commands. Think of Connor like you would Heavy Rain’s Norman Jayden: a detective type with a cold, pragmatic outlook and an impressive technological toolkit. It’s his job to figure out why violent androids are becoming that way and defuse the situation–an efficient first defense, sparring human enforcers the need to intervene themselves. 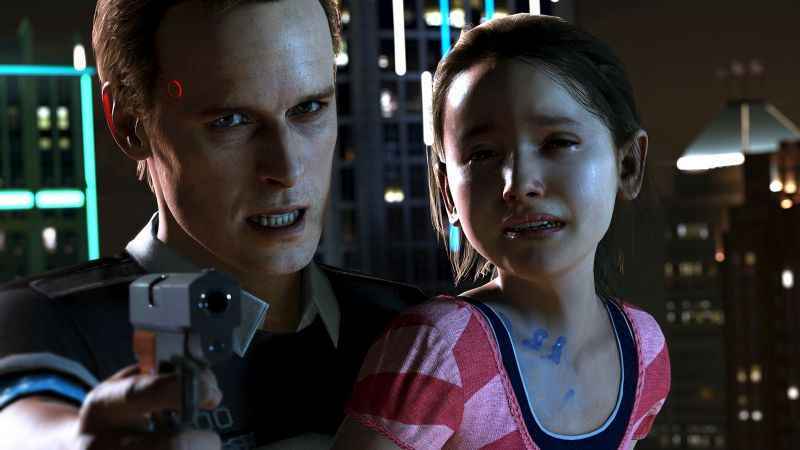 In the Detroit Become Human PS4 demo, android Daniel has taken the young daughter of a family hostage and is holding her at gunpoint at the edge of the family’s balcony. As we enter, the mother is rushed out by police who want to spare her from bearing witness if things go south. She pleads with Connor to save her daughter, but upon realizing police have called in another android, her eyes widen in disgust and anguish. I witness the first overt example of discrimination and distrust faced by androids in Detroit’s near-future world, and it’s a powerful moment. Connor, however, is completely unfazed. If her distrust affects him, he doesn’t show it, and the demo proper begins. As Connor, gameplay resembles Heavy Rain in several ways. We can freely move around the apartment with the left analog stick and tilt the camera with the right stick. Connor’s head will turn in response, and the right stick interacts with objects via context-sensitive movements (think a half-turn to open a door knob). We’re being called upon to deal with Daniel on the balcony, but first, we can explore the apartment for clues that will aid us in negotiation. Connor’s “mind palace” aids the investigation. At any time, hitting R2 pauses the action and fills the world with a wireframe grid and tons of contextual information. Connor’s chances of success? 47 percent. Objects we can interact with have a blue tinge. Our main objective–save the hostage–floats in the air, as well as the optional ability to talk to Captain Allen, the man in charge, for a status update. These pressing reminders create a sense of urgency on top of the fact our chance of success is constantly dropping–with every second spent inside investigating, the situation on the balcony moves closer to eruption. However, the clues we find have the opposite effect. Picking up a family portrait lifts it slightly, as does examining an empty gun case to learn that Daniel stole the father’s gun. Examining the gun case reveals an additional Connor ability. By examining four points of interest on the gun case, a wireframe animation of what transpired is made visible. By swiping the touchpad, we can wind and unwind a vision of Daniel reaching up into the family’s closet and pulling down the gun case. It’s possible to locate additional clues in the midst of the animation, making it a multi-layered investigative boon worth finding. We don’t linger long in the apartment. Out on the balcony, the situation is tense. Daniel is threatening to kill the girl, and as Connor slowly advances, the music ratchets up and dialogue choices open. Our possible responses range from bad-cop threats to more placating attempts at calming Daniel down. Nothing seems to work; our percent of success rises slightly only to dip dramatically. Finally, mere feet from Daniel, we’re presented with a final set of dialogue options, including one action: Sacrifice. That’s what we choose, and in a riveting scene, Connor charges forward to shoulder-check Daniel off the ledge, grabbing the girl from his arms in the process. As Daniel falls, he lets bullets fly, and all of them hit Connor in the back. Leaking a blue android blood, Connor literally shuts down; in a half-crouch, the LED light on his temple goes dark and he is still, motionless. It’s an eery reminder that this very human-seeming man is a machine. Our playable character has died, and as SWAT rushes out to secure the girl, “Mission Success” flashes across the screen. On a second playthrough, we are far more thorough. Investigating all the spaces of the apartment reveals several bits of crucial information: Daniel was a servant android owned by the family. He and the daughter developed a close (even, loving) relationship. We investigate the murdered father’s body and see another wireframe animation: Daniel shot him in the back while he was watching TV. During the animation, we see a clue nearby. It’s a tablet the father was holding when he died. On the tablet’s screen, a commercial is playing for a newer model of servant android. Before we return to the balcony, we investigate the fallen body of a first responder–the unlucky soul who appeared to investigate the original 911 call. Replaying the animation, we see Daniel and the officer exchange gunfire. Daniel takes one shot to the shoulder but dodges several others, and the officer falls. Back in the present, we take the officer’s gun–ignoring a warning in Connor’s mind palace that android law prohibits him from possessing a firearm–and return to the balcony. This time, at about 75 percent, our chance of success is much higher at about 75 percent. We advance toward Daniel, and with the information discovered, a padlock opens on new dialogue options. We empathize with Daniel, understanding that the family wanted to replace him. We abide his request to send away the SWAT helicopter. We lie about being armed, but it’s enough to get us closer. From the same distance we reached in the previous playthrough, we seize the opportunity to shoot Daniel. It’s a deadly hit, penetrating Daniel’s head and sending him backward off the ledge. Connor leaps forward to grab the girl, and is successful. As she runs back to the officers in waiting, Connor peers over the ledge. For a moment, he seems somber and regretful. Perhaps it was my imagination. Only a few seconds later, he returns to the balcony and strides past the officers. They look in fearful astonishment at how calm and resolute Connor is. For the entirety of the Detroit Become Human demo, I was riveted by the on-screen action. I felt involved and overcome with anxious anticipation for every choice and every consequence. This is the power of Quantic Dream’s unique brand of cinematic storytelling. 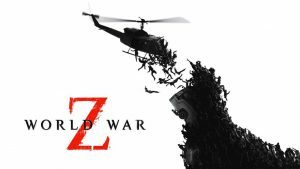 When interactivity meets Hollywood-quality acting, camera work, and music, it makes for a video game experience that’s thrilling, intense, and unpredictable. Add a future-Detroit setting that’s just near enough to be recognizable and Cage’s professed goal of writing a “neo-noir thriller,” and you’ve got the Heavy Rain successor this fan has been waiting for. 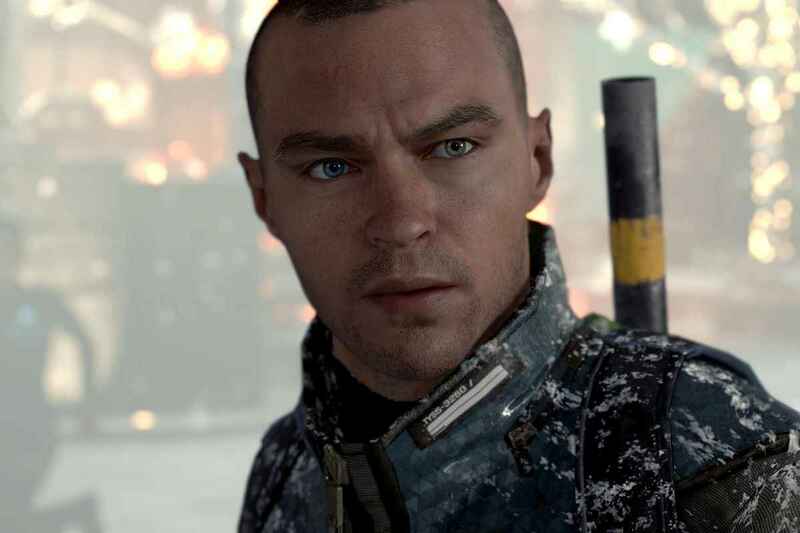 A very short sequence was all I needed to be sold on Detroit: Become Human’s vision of next-gen storytelling, and Quantic Dream’s latest has leaped near the top of my most-anticipated shortlist. 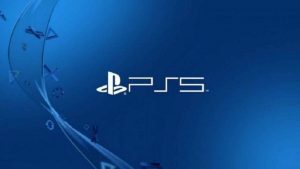 Detroit Become Human is due for release exclusively on PS4 on May 25, 2018.
if an android can think and react like a human then where is the line drawn between an entity which is sentient and one that is not? Aside from the physical composition, what would really distinguish a human being from an android? Should androids be treated on par with humans?